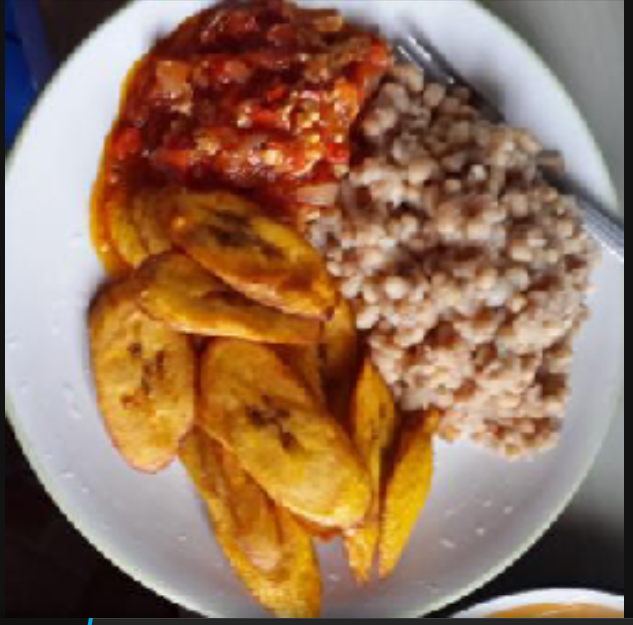 IG: @AfricanFoods: ‎Beans, dodo and egg sauce. ‎Beans, dodo and egg sauce. and Maggi to taste good. Boil Beans until it's soft then add salt and onion. Fry plantain. Put groundnut oil in a sauce pan add onion sliced tomatoes and pepper, eggs and salt and Maggi to taste.